Mould is a very real risk after suffering a home flooding in Toronto and being able to get mould detected and removed quickly is a key part of ensuring no lasting damage or health threats remain after the clean-up process. Luckily, we at Flood Services Canada provide mould removal services in Toronto and the GTA. Mould spores only need a few things to grow: darkness, a food source like wood, drywall or cotton, warmth, air, and moisture. Once these conditions are met, mould can begin to grow in as little as 24 hours. The moisture that causes mould to grow can come from leaky pipes, humidity, leaky roofs or windows, or flood damage, among other sources. Moulds are ordered into Hazard Class A, B, or C, with the severity decreasing the further down you go. Class A moulds can cause infections or damage either through direct inhalation of spores or through toxins they produce. Class B moulds are known to cause allergic reactions over prolonged exposure. Class C moulds have no known health effects or allergic reactions in humans, but may still cause structural damage if left unattended. Within these three categories, numerous types of mould in a variety of colours exist, though some are more relevant to homeowners than others. 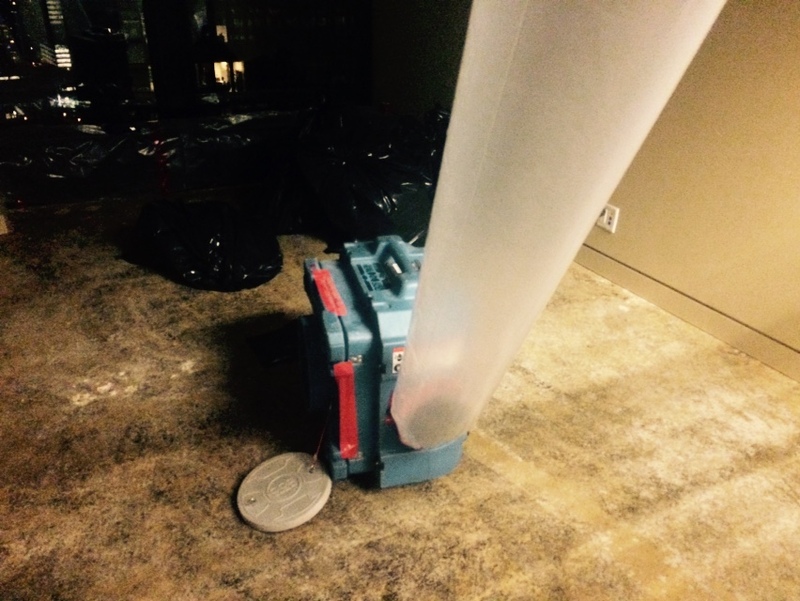 Toronto mould removal can be tricky, so here is a quick primer on some of the more common moulds that detection and removal services in Toronto often have to deal with. A common green, brown, grey, or black mould that tends to fall under Hazard Class B or C depending on the species, it can grow within walls, wood, and insulation. This Hazard Class A or B mould appears as grey, brown, yellow, green, white, or black depending on species. It can grow within walls, insulation, cellulose (paper) products, soil, and clothing. Depending on the strain, aspergillus may be only a danger to those with weak immune systems, and some are only toxic under certain environmental conditions, but this mould should always be eliminated as soon as possible. Yes, this is the same type of mould that we derive penicillin from. However, penicillium is still a Hazard Class B or C mould and can appear in food, in walls, or in insulation. It appears as blue, green, or white. This mould is a Hazard Class B or C mould that appears as black or grey. It likes damp areas more than some other moulds and appears mainly on top of walls, around windows, or in dusty areas. This species appears in all three Hazard Classes and looks white, grey, or brown. It prefers insulation, drywall, and sheetrock to grow but can be found in other damp places as well. As you may have noticed, some of the above moulds can appear black but are not overly dangerous. This is not true of stachybotrys, which is the origin of black mould’s infamy. It is a Hazard Class A and prefers very damp areas to grow in. Obviously, it appears black, but when wet it can look more greenish and slimy. We do not recommend eliminating mould on your own and we do advise calling professionals for any mould growth found to cover an area of 10 square feet or more, or in any situation in which you are unsure where else mould may have spread. Common household detergent is a good tool for cleaning up and killing mould, but proper safety equipment should be used to stay safe during the clean-up. Larger amounts of mould that have become more settled may require stronger solutions, which professionals can provide. Prevention is also very important. This means identifying what made the location ideal for mould growth and eliminating its attractiveness. Often this involves finding spots of moisture infiltration and stopping them, which can be aided using professional moisture-detection and drying tools. Lastly, it is important to address any structural damage the mould may have caused. Drywall or wood surfaces, insulation, ceiling or floor joists, and other structural elements may need to be replaced. Professional mould-detection and removal services also help with these sorts of repairs and can be a valued ally in taking your home back from the spores. Remember: mould may be scary but it isn’t a problem you have to combat alone. Flood Services Canada is a proud provider of mould detection services and mould removal in Toronto as part of its commitment to keep people safe and secure in their homes. Contact us at (416) 302-2107 to learn more about how to protect your property from mould and other damaging dangers, or use our emergency hotline at (416)-999-3930 to get our rapid-response teams deployed to your area. Mould typically enters the home as tiny spores, and when the conditions are moist, those spores are able to grow, spread, and destroy the surfaces they sit on. Mould can grow on ceiling tiles, wood, wallpaper, paint, carpet, insulation, and drywall. Although there is no way to completely eliminate all mould spores from your home, you can control their growth by keeping your home free of leaks, floods, and high humidity. How is mould growth detected? 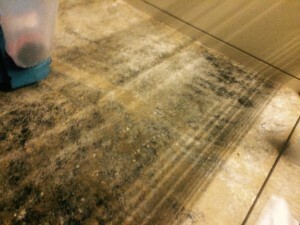 There are specific sites where the likelihood of mould growth is increased: basements, attic walls, insulation, ceilings, wooden joists near pipe condensation, leaking air conditioning units, broken windows or frames, foundation cracks, under-sink linoleum where there are leaks, underneath moist carpeting, under wallpaper and wall paneling, and more.